The JB Blastoff begins at 10:30 a.m. starting and finishing at John Brewers Tavern, 39 Main Street in Waltham. The course is a fast, fairly flat 3.1 miles (5K). Runners and walkers welcome, and for safety purposes, no skateboards, roller blades/skates, bicycles, or animals can be taken on the course. Chip timing provided by Yankee Timing Company. Top male/female finishers will receive an award plus a medal. Awards will also be presented to the top female/male in each age category. Top 3 will all receive a cool medal! Free beer tickets for participants 21 years or older, AWESOME raffles, refreshments post-race at John Brewers. Runners and walkers welcome -- tell your friends and bring the kids! 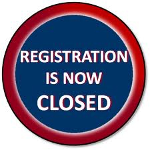 Registration will be available at John Brewers, 39 Main Street Waltham, Saturday April 6th, from 2-4 p.m. and race day from 9-10:15 a.m. Additional $5 charge for Saturday/Sunday registrations. Online registration will close on April 4th at 11:59pm. We STRONGLY recommend registering before April 4th at 11:59pm. Please respect Walgreens customers and only park in the JB Blastoff designated parking areas located at Watertown Savings Bank and The Gore Estate (and many thanks to both organizations for their generous support!). Please spread the word. 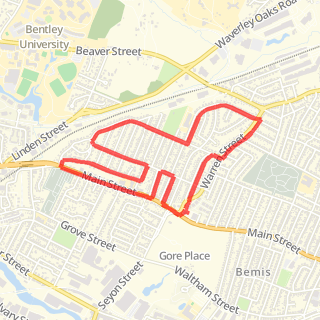 Here is some general information about RAW (Race Around Waltham) Series if you are interested...(this is totally optional, you do NOT have to be a part of the series to participate in this race). ​The RAW Series is the coordination of 5K road/trail races all starting and finishing in Waltham, MA. Participants who run, walk or volunteer (any combination), earn prizes. The Goal of the Race Around Waltham Series is to support a healthy lifestyle and foster community involvement. Our Mission is to give back to the running community by cross promoting Waltham's running events and the local business community. To be a part of the RAW Series you can go to www.rawseries.org for more information and register.